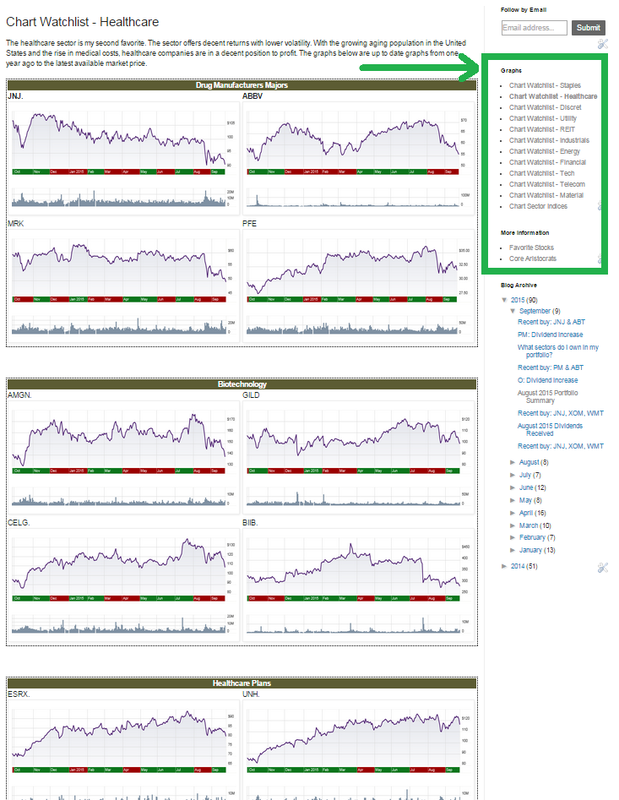 I have spent today upgrading how the charts look on the web pages so that it is easier to see more companies at once. I have also added even more names to the chart lists since my list of companies that I watch have since grown. Sub-sectors are now clearly labeled too to better group companies. The charts are accessible by clicking any of the Chart links on the menu located on the right side of each webpage. I now categorize companies into their specific sub-sectors. For instance in Consumer Staples I have added sections for Beverages, Tobacco, Food Products, Cleaning Products, etc... The charts are loaded from Scottrade and include the most available pricing back to 1 year. 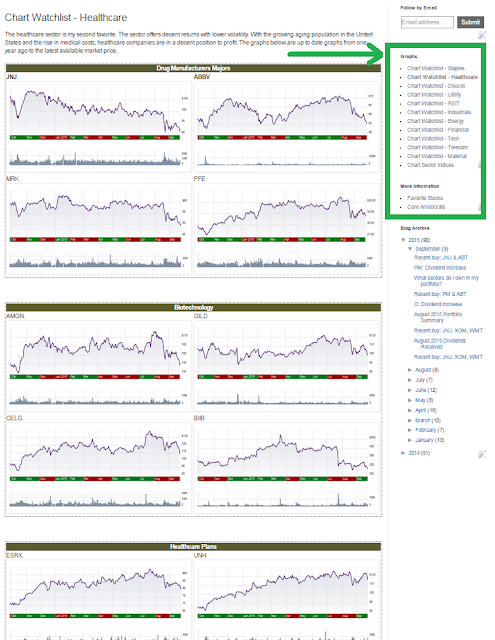 I have set these pages up because I like to organize my watchlist into charts. These pages allow me to see what is happening in each sub-sector quickly. For instance, if I find that I am light on beverage holdings and would like to see if there are any good deals in beverage companies, I can open the Consumer Staples chart page and scroll down to the Beverage sub-section to see if there are any deals. Nice looking charts. Easy way to compare names within a particular sector. What sectors do I own in my portfolio?